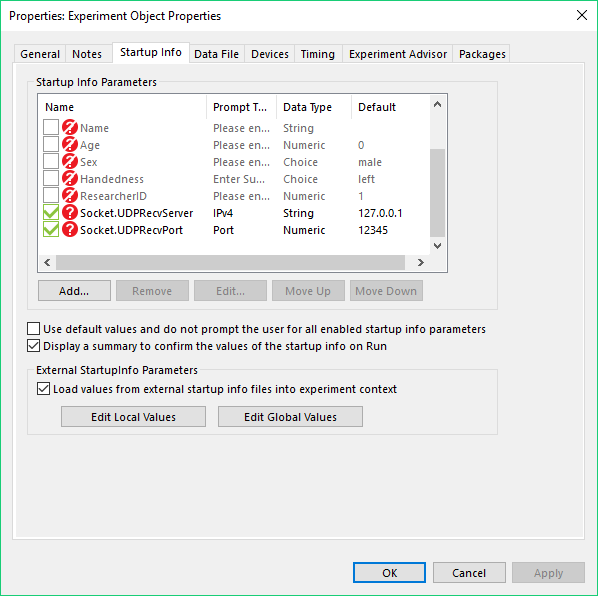 UDP Sockets cannot receive data. UDP Sockets (SocketDevices with ConnectType = UDP) cannot receive data, although they can send data. No error message or warning appears when the socket is checked for data, but no data is received by the socket device input queue; the SocketDevice.InputCount is always zero. This bug has been fixed in E-Prime 3.0.3.60 (Update 1). Upgrade to E-Prime 3.0.3.60 or later. There is no workaround to avoid this bug in the affected E-Prime verisons.